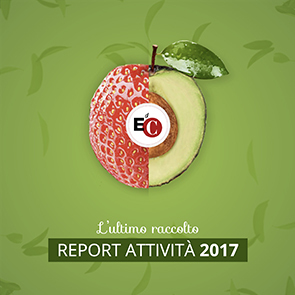 AIPEC is the Italian acronym for the Association of Italian Entrepreneurs for an Economy of Communion that for almost two years brings a breath of joyous impulse into the Italian EoC. The organization was created to respond to the needs of entrepreneurs who, in love with the new economic action proposed by Chiara Lubich, wish to popularise the possibility of conducting business and professional activities with hope and tenacity placed in a total donation towards everyone. But how to accomplish this? Sharing ideas, successes, struggles, gains and concerns without complexes and with freedom creates a dynamism pouring over the territories. Once contaminated, these become small business communities of hope, thereby having already achieved a fragment of fraternity. We all know the great difficulties economic activities have been facing for years now, but a good business idea with few economic means that someone has made available has opened the way for the foundation of a new company last year – and who knows what the future may bring! I may say without exaggeration that for many people AIPEC may compare to the most spectacular rainbow that can only be seen when half of the sky is still darkened by the rain clouds and there is just a piece of blue sky above the observer. This year we met entrepreneurs in Ragusa, Turin, Modena, Milan, Parma, Pescara, Bra, Trento and in many other places where we simply sat around a table and started to talk about the Economy of Communion with those who wanted to know it; in other cases, the beauty that already exists in many companies was spontaneously revealed rejoicing together to have found a place in which to come together. Collaboration with other associations present in our cities is determining in the activities of AIPEC, and they are always open to new relationships and willing to share their professional experiences and lives as entrepreneurs. What's more: thanks to the collaboration with a faculty member of an institution of higher education, we had the opportunity to present the Economy of Communion project to more than 100 young people aged 18-19 years: their enthusiasm was so strong that one of them said, "The Economy of Communion is the answer to selfishness of man." In addition, some of these young people will be present at the next Workshop School in October in Loppiano to deepen their knowledge of the EoC. AIPEC is the youngest among the branches of the work of God that is the EoC, but I'm sure that with the cooperation of all the other branches, the tree will continue to soar because together we can achieve what Chiara Lubich said at the international conference of the EoC in September 2004, "Mutual love will bring everyone not only to understand and esteem each other or to make the hardships and problems of others their own, but also to find new forms of work organization, participation and management together."